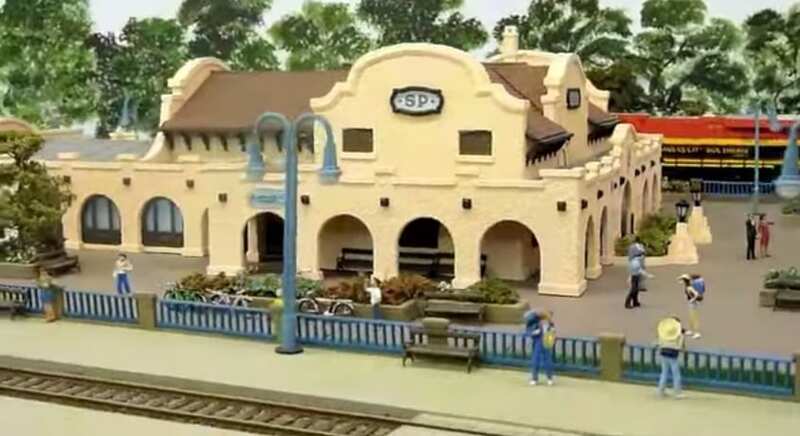 I am not exactly sure where this layout is situated, and it is run by diesels, but I thought it would be something interesting for those of you looking at detailed models of the real thing. In future, I plan to add a section on modelling from the days of steam, if there is enough interest. Like the post on Facebook if your want to see more. This layout started 4 years ago and represents numerous scenes from the vacation to the United States of America. The Railroad is set on two levels accessed by a 7 foot diameter helix situated at the far end. Trains travel 80 feet rising or falling a total of 20 inches. 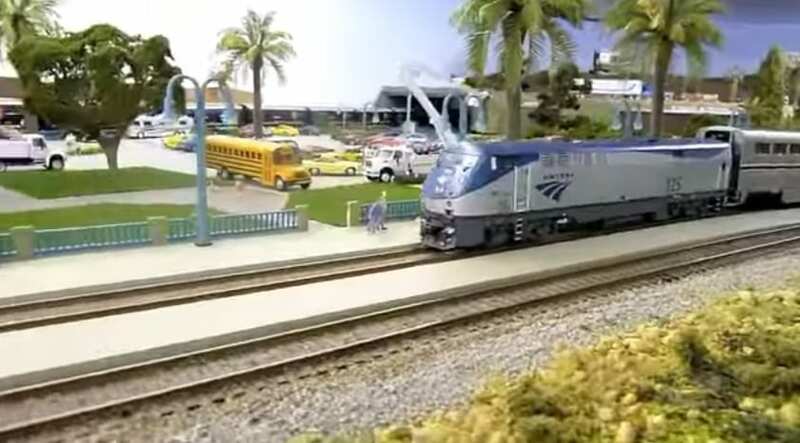 Mainly a west coast themed layout including the former southern pacific depot in Davis California and the Union pacific depot in Caliente, Nevada. The lower level has now taken on an east coast theme and represents scenes from both ends of the state of Massachusetts, the far west being Pittsfield and to the east Bridgewater. So get ready to enjoy a whirlwind tour of the USA by rail. We also have few great model train pics of this great model train layout. Well this is one of the best realistic model train locomotive. This powerful locomotive is capable of pulling a huge amount of load without any failure. This locomotive is very attractive and hence increasing the beauty of the complete layout. One more powerful locomotive painted with yellow color. You can use variety of locomotives in your layout. They may vary in color, shape and size. The locomotive running on the railroads is the center of attraction and therefore it must be selected by keeping all the aspects of attractiveness in mind. 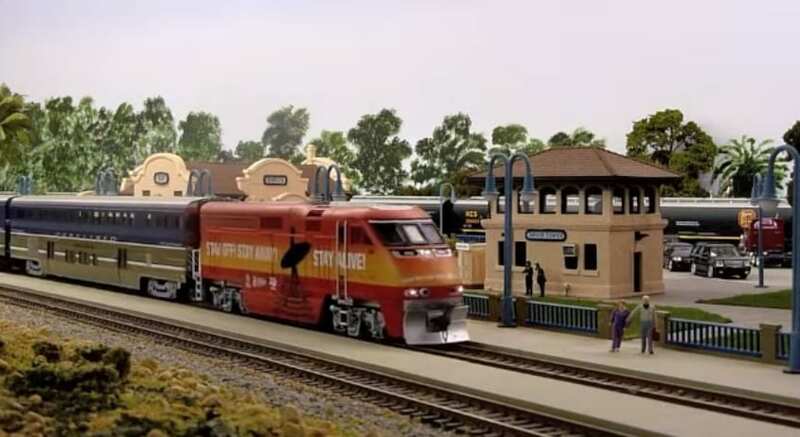 This Locomotive is a multi color locomotive and is a replica of a real model train locomotive. This locomotive is pulling containers full of so many things. This locomotive is a very fast speed model train locomotive. This locomotive is a very attractive locomotive due to its speed and colors. The SP Depot just celebrated its 100 years titanium jubilee in 2011. It was the third of four train depots that were built in Woodland and it was constructed in 1911. Luckily, It is the only one still remaining original and is located at the corner of Lincoln Avenue and Sixth Street. This is one of the very famous historical place to visit. This pic is featuring the aerial view of the Davis, this place has its own value due to the fact that it is the original historical train depot. This is a must visit place if you wanna explore more about the historical importance of trains. This is something which really makes your layout so realistic. For a moment. you will not be able to judge whether it is a miniature world or a real world. 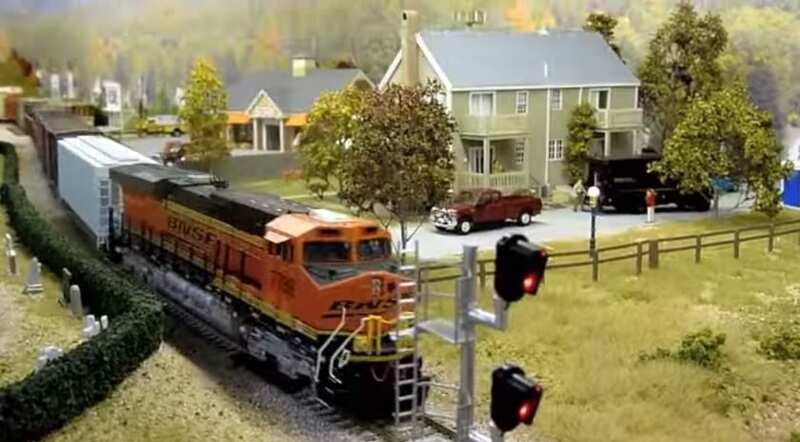 These small details plays a vital role in the development of a great model train layout. Model train tunnel is another great feature and it plays a very important role in any natural scenery realistic model train layout. This provides an essence of realism to the whole layout. This is the general view of this great model train layout. 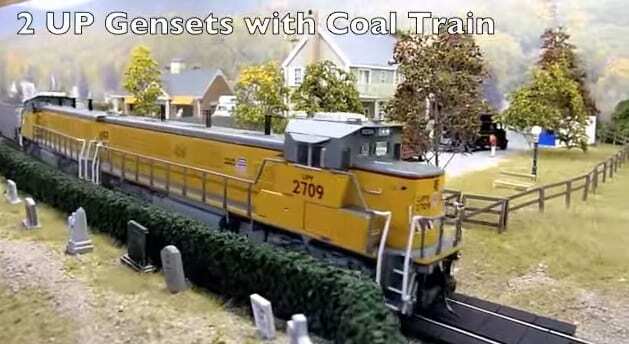 There are so many features that can be added in a HO scale model train layout. The only thing you need to do it a lot of research work on HO scale model trains. HO scale model trains is a very interesting subject. Watch the video of this layout in action.